caution when watching it around young children. Click on picture above to view video… Youtube will pop-up! DO NOT MAKE IT OUR PROBLEM!!! Every day 10,000 humans are born in the U.S. – and every day 70,000 puppies and kittens are born. As long as these birth rates exist, there will never be enough homes for all the animals. As a result, every year 4 to 6 million animals are euthanized because there are no homes for them. 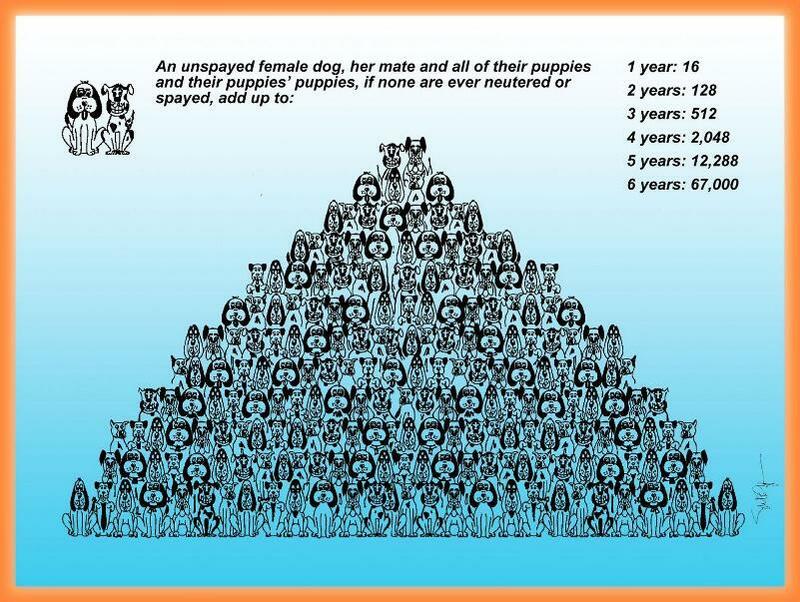 Spay and Neuter… It is the only way to help the animals of our future. Have you ever taken a math course? How about statistics and logic? And, 10,000 humans to 70,000 puppies and kittens may be interesting to you, and may even be a real fact, but, humans live a lot longer than puppies, and one human can have more than one puppy or kitten, so the point of this claim is not clear. Do you have a point? OMG I LOVE it… haha! !